Release date for the much-awaited cross-platform OS has been set; Surface RT tablet expected to be rolled out soon. At Microsoft's annual sales meeting yesterday, Windows head Steven Sinofsky announced that Windows 8 will hit stores on 26th October this year. Users can get it as an upgrade as well as on new PCs starting from the launch date. Earlier this month, Microsoft had promised to ship the new operating system from late October, while a release preview was made available early in June. Microsoft has taken a bold step with Windows 8 by essentially keeping the same OS for PCs and tablets. Moreover, apps can be easily ported between the desktop version and Windows Phone 8 for mobile phones. There may even be an Xbox-compatible version in the future, if the grapevine is to be believed. For now though, you can play with the release preview and check out our various features on the upcoming OS: our brief hands-on with the tablet version, how to effectively use the new touch gestures, bringing back the classic Start button, and the steps for running Windows 8 off a USB drive. Microsoft had previously claimed that it would launch the Surface RT tablet just after Windows 8, so now we have a tentative timeline for the tablets too. 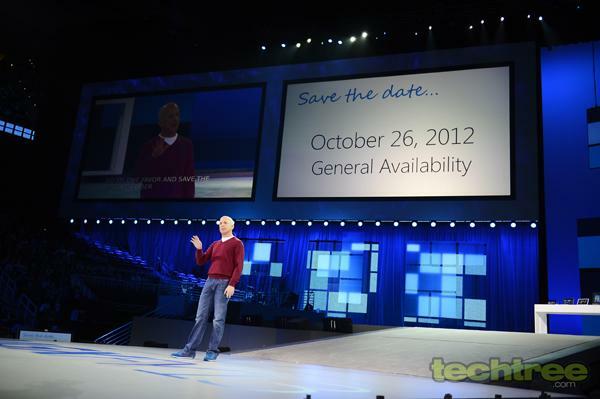 Next on the cards are the launch dates for Windows Phone 8 and Office 2013. We'll keep you posted as soon as it happens.